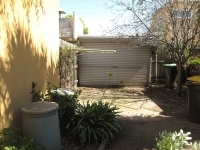 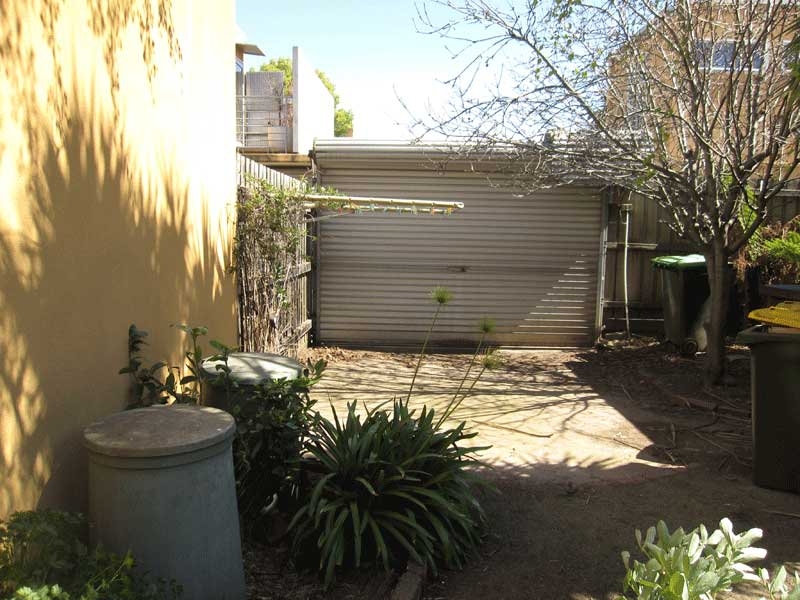 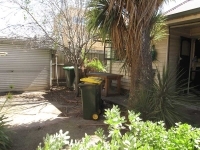 This was a small, cluttered inner suburban backyard that had some veggie boxes, car access and an apple tree. 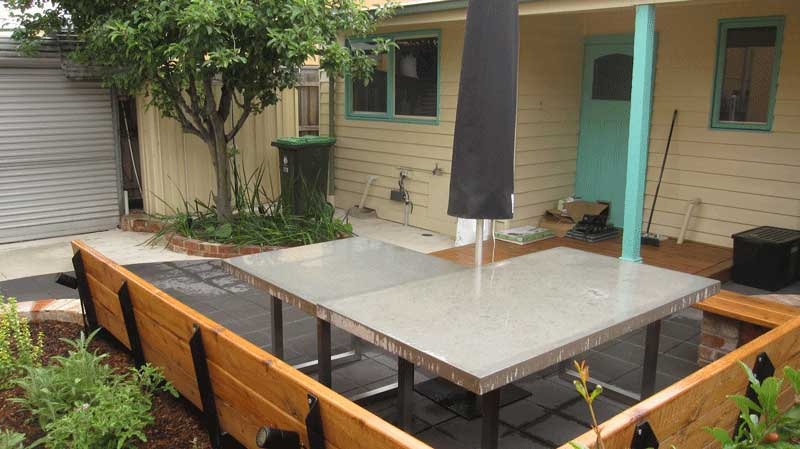 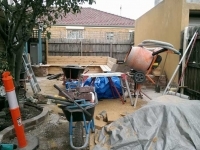 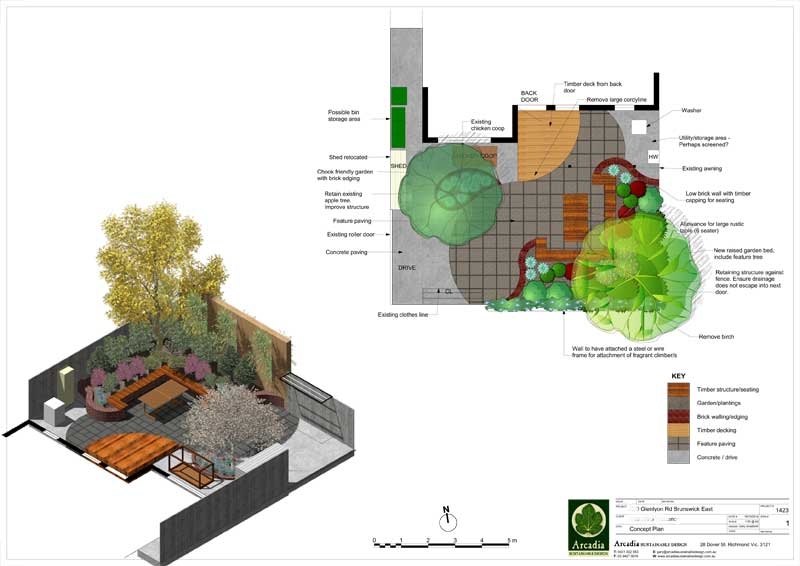 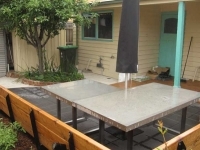 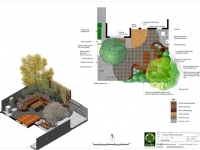 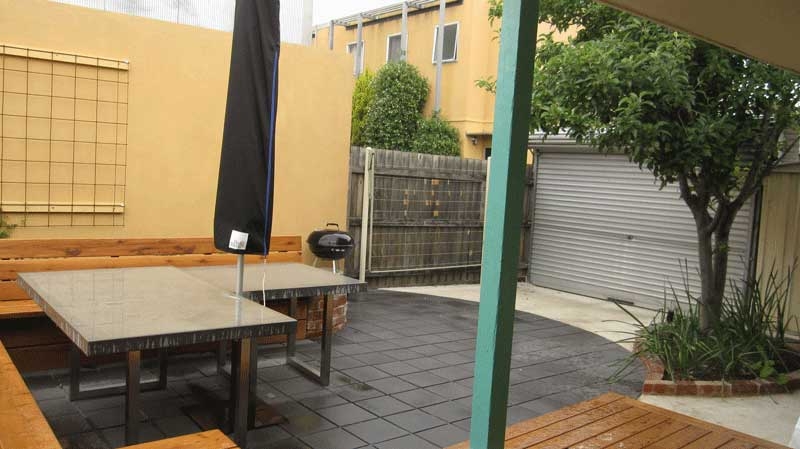 It desperately needed a make over to create a courtyard for gathering entertaining while still having a raised food garden. It also needed some discrete storage to contain all sorts of things that ended up sitting around the back door. 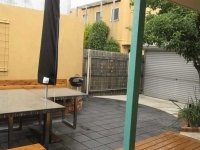 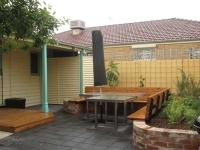 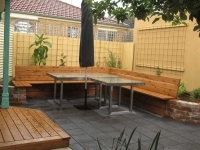 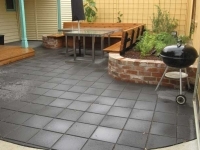 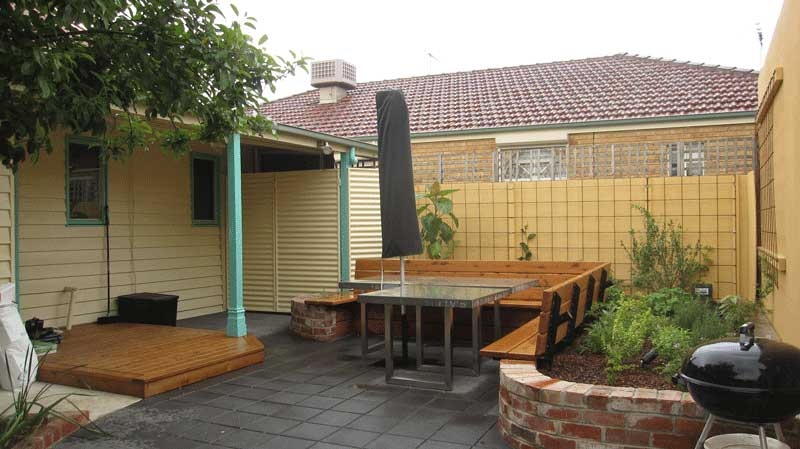 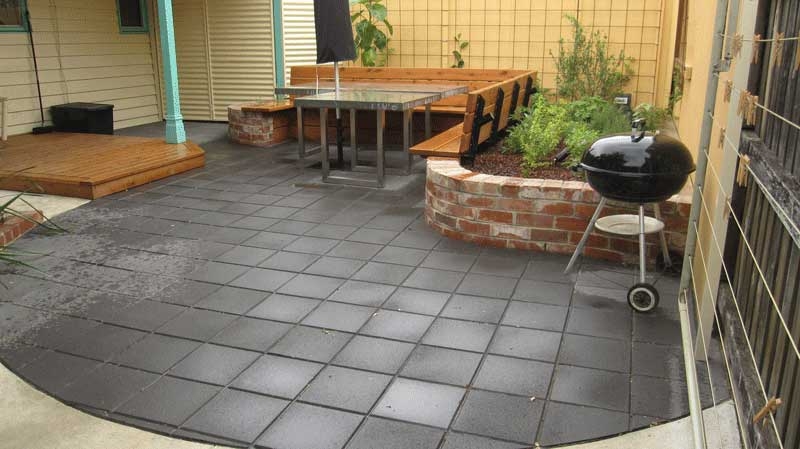 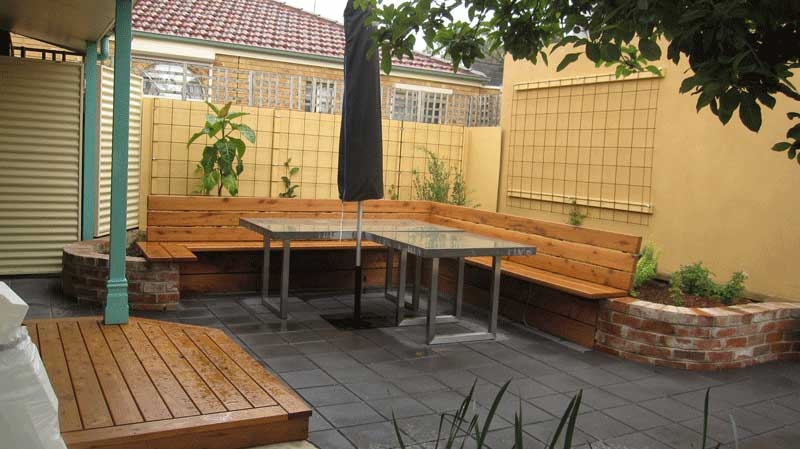 The new design created an attractive paved courtyard which connected to a new timber deck leading from the back door. 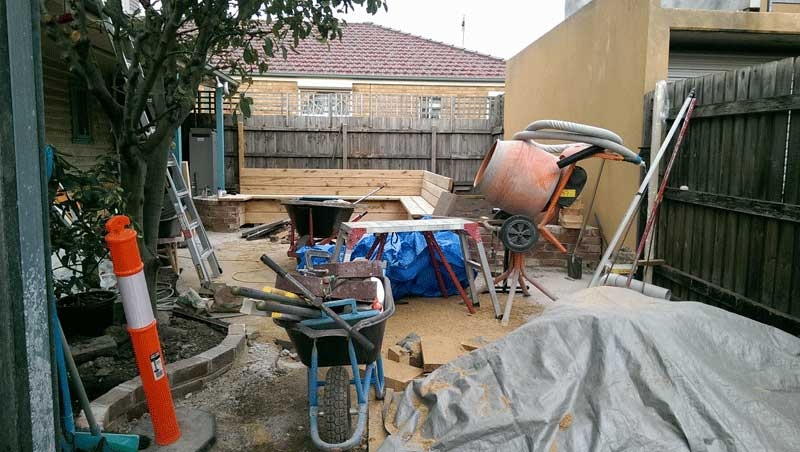 The car access was given a different paving treatment to differentiate it from the gathering area and using the apple tree to help delineate it. 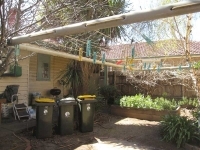 Providing practical areas for storage and clothesline in unobtrusive spots allowed the courtyard to feel clear and engaging.